A good character driven book always grabs me; for me that’s what often moves the story along. 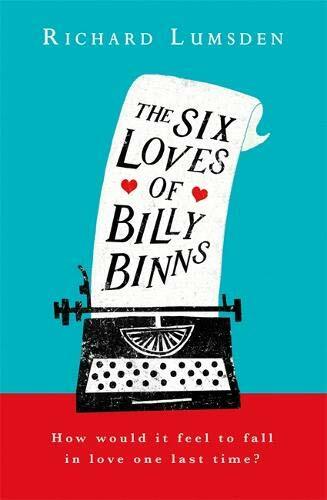 And The Six Loves of Billy Binns is definitely a damn good character driven read. This novel is brimming with humour and pathos. Billy Binns and many of the other characters melted my heart. At the grand old age of 117 and the oldest man in Europe, Billy has been in love five times throughout his life. Living in a care home and knowing his life is coming to an end, Billy is desperate to feel love once again. I thought The Six Loves of Billy Binns was going to be a heartwarming book that I could snuggle up and read with a cuppa. But this was so naive of me. 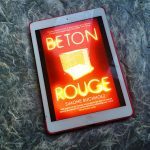 Yes, at times it is heartwarming, but it is also gut wrenching, funny and shocking (maybe I’m easily shocked but I didn’t quite expect there to be swinging parties in this book 😉 ). As Billy reflects back on his life, especially the people he has loved and lost, I found myself fully immersed in the ever changing 20th century. And Billy is part of it all; from fighting in the First World War when he is only 15 years old to fully embracing the sexual revolution in his 60s. Billy is such a likable character but he makes mistakes; some mistakes are simply misguided; others blatantly stupid. Billy is human and I loved him for that. Billy can be deemed naive, misguided and even stupid at times. But one thing is for sure; Billy at whatever age he is, he’s not afraid to live. That has to be celebrated! It is also a coming of age story, a story about friendship and the importance of kindness. The Six Loves of Billy Binns is a moving, powerful read. This is poignantly portrayed through Billy’s love for his son Archie. This will stay with me for a long time. The character of Billy’s wife intrigued me; I really felt for her. I also really admired her; she had such loyalty and such strength. I would have loved to have heard this same story from her point of view. But then again, I fear it may have broken my heart. Billy’s life symbolises how society could barely keep up with the fast pace of change in the 20th century; creating social confines that had devastating consequences. In my view, it is a beautiful read. 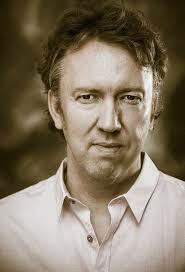 Thank you Richard Lumsden for giving us Billy Binns. Thank you Tinder Press for sending me an advance copy in return for my honest review. 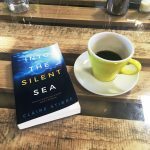 Thank you also to Headline Publishing for inviting me to the New Voices 2019 book tour – I loved it! 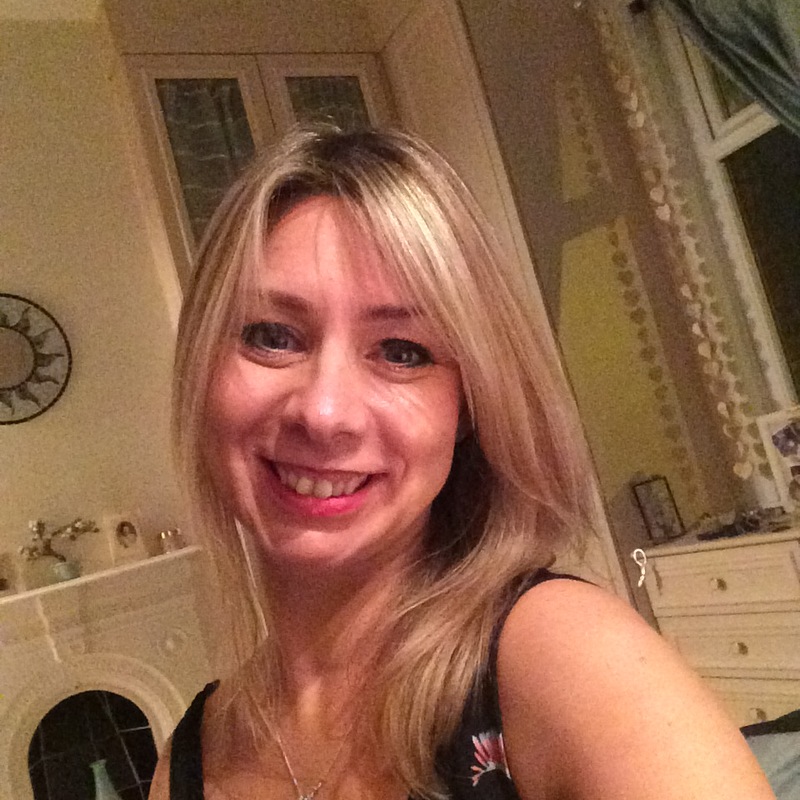 Finally, thank you Anne Cater from Random Things Tours for inviting me to be part of the Billy Binns blog tour. Please also read the reviews of my fellow bloggers also taking part in the blog tour (please see below). 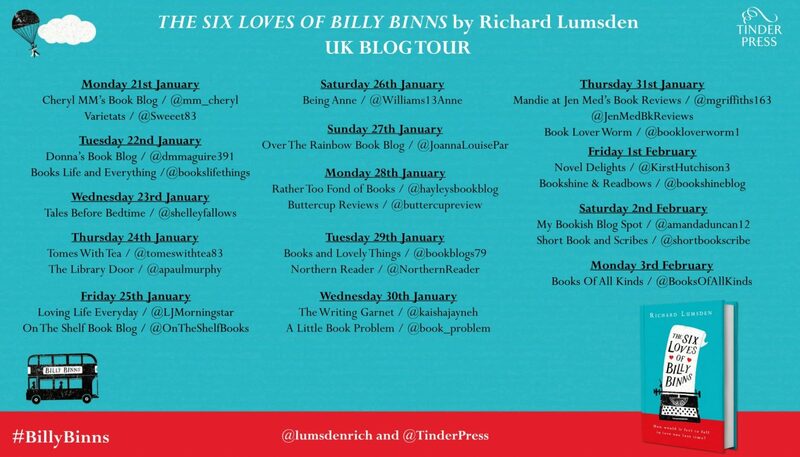 The Six Loves of Billy Binns was published on 24 January 2019, so it’s available for you all to go out and buy.